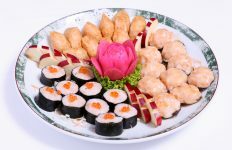 Browse: Home / LIFESTYLE NEWS / Hotel Dining / First time in Thailand! One of the culinary world’s most fascinating talents, 2-Michelin Star Chef Philippe Mille, joins us for four delicious days at La VIE – Creative French Cuisine in VIE Hotel Bangkok, MGallery Sofitel to demonstrate his world-renowned skills in lunches and dinners during 22nd – 25th August, as well as in Villazzo Restaurant at V Villas Hua Hin, MGallery by Sofitel on 25th August 2018 only! Born to a farming family in the Sarthe in Western France, Chef Philippe Mille has had the experience of observing the growth of vegetables and livestock his entire life, discovering every nuance that makes them perfect. His refined sense of appreciating fragrance and taste has led him to the notable creations that have earned him two Michelin stars. 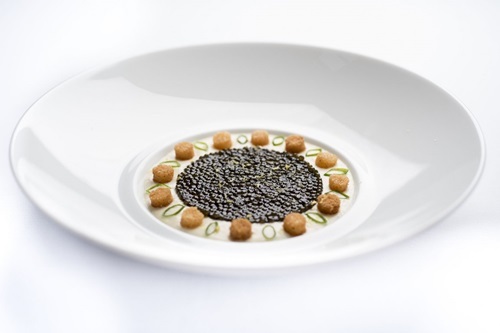 Chef Philippe Mille is also one of the few chefs in the world to be awarded the coveted M.O.F. — the Meilleurs Ouvriers de France, the highest and most prestigious award amongst all professional craftsmen in France. Only those who have earned it are allowed to wear the red, white and blue collar which is its respected symbol. Pleasure, generosity and childhood memories are at the heart of his inspiration. 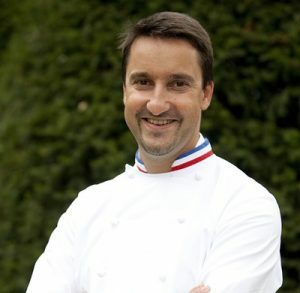 Chef Philippe Mille has also worked with some of the best names in France, having trained at L’Aubergade restaurant in Pontchartrain under Jean Bordier; at Le Drouant under Louis Grondard; at Le Pré Catelan under Frédéric Anton; at Lasserre and also at the Ritz under Michel Roth; at Le Scribe and then at Le Meurice under Yannick Alléno, with whom he was awarded the Bocuse bronze medal at the Bocuse d’Or. 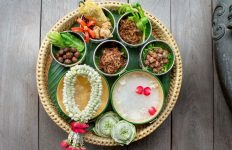 The vast and delicious palette of his preparations must not be missed while he is with us at VIE Hotel Bangkok and V Villas Hua Hin, MGallery by Sofitel. Lunches and Dinners are served at VIE Hotel Bangkok during 22nd – 24th August 2018 and only Dinner is served at V Villas Hua Hin on Saturday, 25th August 2018. A quiet man who loves the simple pleasures of life, French Chef Philippe Mille’s determination and passion for his art have been rewarded with spectacular success. He has so far earned two Michelin stars, along with other prestigious awards, and is one of the few chefs in the world allowed to wear the red, white and blue collar of the coveted M.O.F. — the Meilleurs Ouvriers de France, the highest and most prestigious award amongst all professional craftsmen in France. Chef Philippe Mille grew up in a farming family in the Sarthe in Western France, where he had the experience of observing the growth and stages of vegetables and livestock. 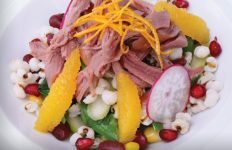 Discovering their nuances and qualities, and enjoying the delicious and unforgettable meals created from them by his family, Philippe Mille began honing his sense of taste early on. At age 15, he entered the Le Mans culinary academy, performed excellently, and after graduation sought out his mentors. He began his apprenticeship in 1994 with Jean Bordier at L’Aubergade, learning the basics of the Escoffier cuisine. He then joined Louis Grondard at Drouant, training in precision and technique. Philippe’s chef career started at Pré Catelan with Frédéric Anton and Michel Roth, first at Lasserre, then at the Ritz Hotel. 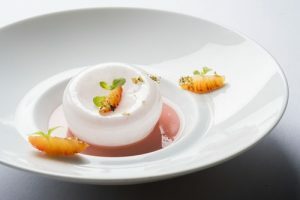 For the next ten years, he worked with Yannick Alleno at the Scribe Hotel, with whom he was awarded the Bocuse bronze medal at the Bocuse d’Or. Now for the past two years, Chef Philippe Mille has expressed his great talent at his own Le Parc Restaurant in Domaine Les Crayères, France. Pleasure, generosity and childhood memories are at the heart of his inspiration and his refined sense of all that is best in food has led him to the notable creations that have earned him his two Michelin stars. La VIE – Creative French Cuisine in VIE Hotel Bangkok is honoured to host him and we look forward to the fabulous lunches and dinners he will prepare during his visit. 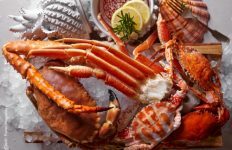 Easter Fair 2019 At Conrad Bangkok All the fun of the fair – all under one roof!